Located in the beautiful Española valley, Northern is a vibrant, diverse community of people who can help you succeed. We offer the most affordable 4-year degrees in NM. With 60+ bachelor's, associate and certificate programs, you can find what interests you. Between student clubs and organizations, student government and ongoing campus activities, you can always stay involved. Home to the El Rito Normal School Alumni archives, memorial and orchard, the campus is a center for community activities. Northern offers three unique bachelor's degrees in Santa Fe, allowing local students access to affordable, high-quality programs close to home. 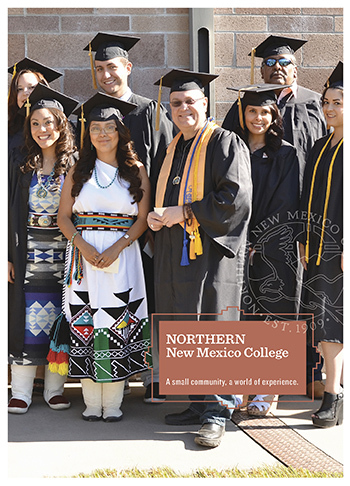 At Northern New Mexico College, our mission is to ensure student success by providing access to affordable, community-based learning opportunities that meet the educational, cultural and economic needs of the region.